Aspiring Project Manager to Project Management Rock Star! If you're ready to take your career to the next level, this is the site for you! Career opportunities for Project Managers are growing every year. The future is bright for people that know how to lead a project successfully. Find out if becoming a Project Manager can help you achieve your career goals. Escaping from your current role into that of a Project Manager can be tough. Developing skills in key areas can help you make the move to a Project Management career. Find out how you can make yourself the best candidate for that Project Manager opening. Rocking your first project can get your career on the fast-track to success. Learn the skills you need to lead your first project like a seasoned pro so you can get your Project Management career off to a great start. The purpose of this website is to help you develop the project management skills you need to go from Aspiring Project Manager to Project Management Rock Star! Hello! My name is Michael A. Martinez. 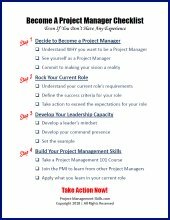 I'm the writer and editor of the information you'll find on Project-Management-Skills.com. My mission is to help Aspiring Project Managers become Project Management Rock Stars! First, I want to help you, the Aspiring Project Manager, break into Project Management. Second, once you've been assigned to lead your first project, I want to help you launch your Project Management career by Rocking your first project. I've been a professional Project Manager for over 20 years. 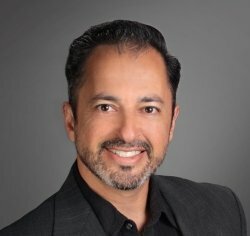 In addition to the practical experience I gained working in the Project Management trenches, I also earned an MBA with a concentration in Program and Project Management from the University of Texas at Dallas and Project Management Professional (PMP) certification from the Project Management Institute. I want to use my Project Management skills and experience to help YOU become a Project Management Rock Star! Are You Ready To Launch Your Project Management Career? Get your career on the fast-track to success by becoming a Project Manager. Will you be ready when the opportunity to manage a critical project arrives?